Majority Leader Mitch McConnell and HELP Committee leader Lamar Alexander were among those sending the letter asking for a 45-day extension. Lawmakers on both sides of the aisle continue to pressure the Department of Labor to extend the comment period on its revised plan to amend the definition of fiduciary for retirement accounts. On Tuesday, GOP Senators including Majority Leader Mitch McConnell, R-Ky., as well as Sen. Lamar Alexander, R-Tenn., chairman of the Senate Health, Education, Labor and Pensions Committee, which has oversight authority of DOL, and Senate Finance Committee Chairman Orrin Hatch, R-Utah, urged the department to extend the comment period to 120 days. But the Save Our Retirement Coalition — which includes the AARP, AFL-CIO, AFSCME, Americans for Financial Reform, Better Markets, Consumer Federation of America and Pension Rights Center — told Perez in a Friday letter to rebuff requests to extend the comment period, stating that 75 days is “ample” time for comments. Hatch said Tuesday that he would reintroduce this year his Secure Annuities for Employee (SAFE) Retirement Act, which includes language that would stop DOL from writing fiduciary rules for individual retirement accounts. As to the DOL fiduciary redraft, Hatch “believes Treasury, not DOL, should draft the fiduciary duty rule for IRAs,” the spokesperson said. 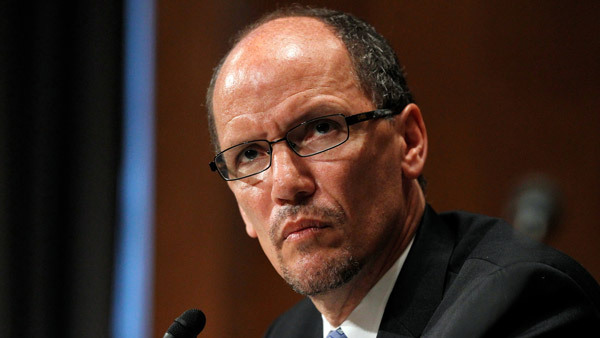 — Check out Lawmakers Ask DOL’s Perez to Extend Fiduciary Comment Period on ThinkAdvisor.